As the technology progressed over the past decade, it became much easier to generate new digital files every day. We speak about photos, music, games, folder and such and all of these files take a particular amount of space on your storage. If you have the internet (and you probably have, as you are reading this), you can look for help in form of Cloud Storage Apps. Cloud Storage is like a digital cabinet for your files, and it’s one of the safest methods of keeping your files. It’s easy to access them using your browser either on your PC or some of your devices. Here, we are going to check 10 best cloud storage apps, which you can access by the wide variety of devices. Dropbox is a great cloud storage app which you’ve probably heard of. You can subscribe to this app and website like a “normal” user, which is free or you can pay for more space and features. Free users get 2 GB of space upon sign up and then you are offered to upgrade your space. Dropbox really offers good deals at a fair price; for example, you can pay $9.99 a month for 1 TB of cloud storage, or $99.9 a year, if you like it that way. It also has some options like easy sharing photos and auto-upload, and is, at the moment, the best cloud storage app. We all know MediaFire, don’t we? MediaFire first began as a website (file sharing service) and now you can also visit their website and use their cloud storage app. Like Dropbox, you can also upload here whatever you want and you can begin as a free user, where you’ll get 10 GB of space. For $7.50 a month, you can get 1 TB of space, which is great and a lot cheaper than some websites.The app, however, works well although there are some bugs here and there. Google Drive is an Android-focused app which you probably have preinstalled on your phone. With the free membership, you get 15 GB of space, which is pretty cool for Android devices. You can then choose offers like $1.99 a month for 100 GB of space, $9.99 for 1 TB of space and $99.9 for astonishing 10 TB of space! Check it out, it’s free and works great. 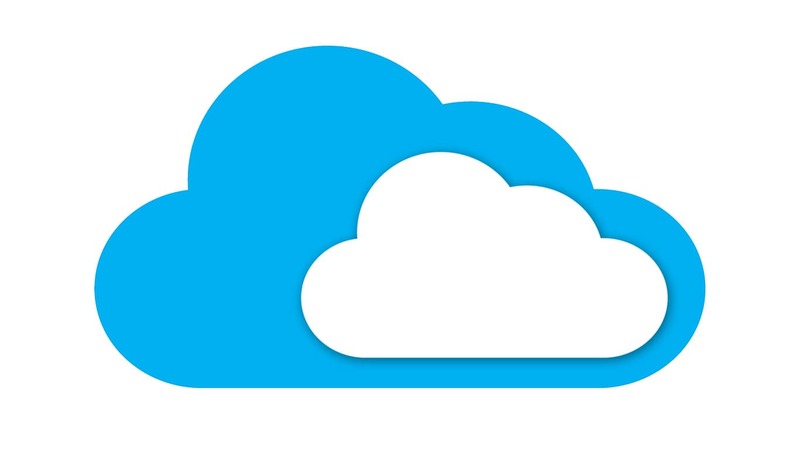 For Microsoft Windows users, OneDrive is probably the most reliable cloud storage app. For free users, it comes with 5 GB of space which is upgradable to 100 GB for $1.99 a month and we recommend doing so, as 5 GB isn’t too much, especially if you are a PC user. We also like the 5 TB subscription here, which costs just $9.99 a month, but it’s very well worth it. Feel free to try this app on your PC or Windows Phone, as it works much better with the latest update. MEGA is one of the most amazing cloud storage apps out there. It was launched a few years ago and it offers amazing 50 GB of FREE cloud storage space… wow! That’s the largest free storage space we’ve ever seen. For $29.99 a month, you can upgrade your space to 4 TB, but if you are a non-demanding, free user, you can very well utilize these 50 GB. The app itself isn’t anything that will blow you away, as it can be a little sluggish and slow at some times. Amazon also has its own cloud storage app; Amazon Drive. However, this app is best used if you have Amazon Prime. With this, you get 5 GB of free cloud space and you can even upgrade to UNLIMITED space for just $60 a year. Yes, it sounds great, but it’s only with Amazon Prime. You can also use it without that, but the prices will be higher. The app works well and doesn’t take much space, which is awesome. With this app, you don’t have to think outside the box. Box offers everything you need from one cloud storage app. Box app is also used with some file management apps, making it very popular among them. With the free subscription, you get 10 GB of space, which you can upgrade to 100 GB for a$10 a month. There are also some bonus features, which are slightly expensive. All in all, the app works great and is highly recommended for its simplicity and speed. SpiderOak is a great app for Android and iOS which helps you keep your files private. The data you upload here is fully encrypted and can be unlocked only with YOUR password and this password isn’t stored in the SpiderOak server. Sounds safe enough? You can use this without any file size limit, but with free 21-day trial and 250 GB of storage space. After that, you have the option of 100 GB ($5 a month) and 1 TB ($12 a month). Apple iCloud is a free cloud storage app for iOS devices, but it comes with its own limitations. For example, Apple iCloud is used for back up of the personal files and there aren’t possibilities for sharing or collaboration. The app comes with 5 GB of free storage space, but you can also buy more from Apple if you want so. If you have an iPhone, you probably have this app installed, and if you don’t then feel free to install it, but beware of its limitations. IDrive is a great iOS and Android app, but it’s also available as a desktop app and a website. This app, not only stores your personal files but also contacts, calendars, photos and similar. Unlike iCloud, IDrive supports sharing of various files and folders, which is great. When you upload files, you can encrypt them with the password only you know and you’ll get 5 GB of free storage space. It’s further upgradable to 1 TB at just $52.12 for the first year.